1. Custodians of Wilderness: The Zambezi Delta, Mozambique. Zambeze Delta Safaris in Mozambique has one of the most successful anti-poaching units in Africa today. Operating in Coutada 11 the company has, through safari hunting support, brought wildlife populations in the area back from the brink. This documentary will highlight the important work that is being carried out in this region. 2. Custodians of Wilderness: The Central African Bushmeat trade. The bushmeat trade has become commercialized to the point where it now an integral part of the Central African regional economy. Anything edible is at risk in a business that has its base with residents of the logging camps. It has been estimated that poachers are dragging 1 million metric tons of game from the forests every year, an amount equal to about 4 million cattle. But this is far below the actual numbers. Many animals rot in snares before the poachers check them. At the current rate of decimation it is likely that wildlife in the Central African rainforests will be wiped out long before the habitat is totally destroyed through logging. What are the possible solutions to this vexing problem? 3. Custodians of Wilderness: Namibia’s Communal Area Conservancies. Namibia has long been at the African forefront in the development and application of successful wildlife use policies and practices. In 1967, the Nature Conservation Ordinance 31, providing private landowners with rights over wildlife use – thereby transforming the perception of wildlife as a competitor to livestock production to a valuable asset to be sustainably managed for personal gain. 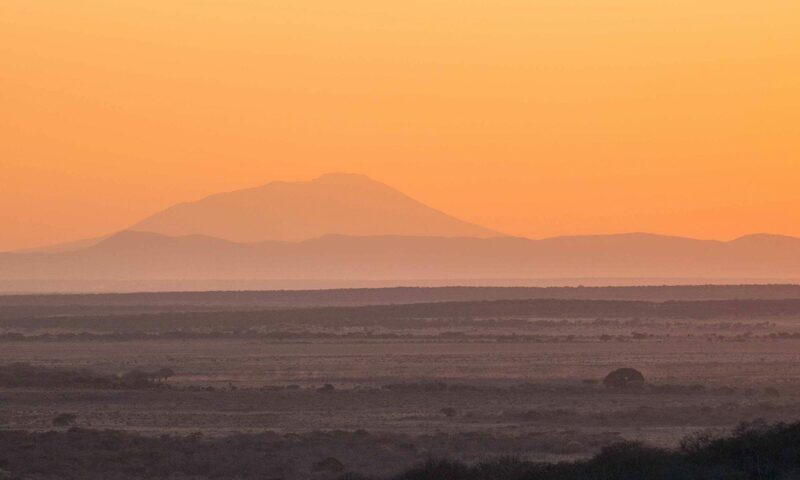 In 1998, the Namibia’s first four communal conservancies were registered, thereby allowing the traditional African communities of Namibia to legally benefit from numerous forms of wildlife utilization. Sport hunting is an important element in the success of these conservancies. 4. Custodians of Wilderness: Zambia. Zambia’s protected areas cover some 77 000 square kilometers or 30% of the country’s total landmass in the form of 19 national parks and 36 Game Management Areas. The Game Management Areas (GMAs) are safari hunting concessions that were opened up in a number of tribal lands in the 1970’s. This created a revenue stream as well as a supply of meat for the local communities. The establishment of GMAs created buffer zones between the various National Parks and rural communities. 5. The Black Bear Conservation Coalition. The mission of the Black Bear Conservation Coalition is to restore the Louisiana black bear to its historic range through education, research and management of habitat and populations. The BBCC will accomplish its mission through partnerships among stakeholders, credible science-driven management, cooperation, and a genuine commitment to bear restoration. The organization believes that a healthy bear population can be an asset to the community and bears can coexist with other land use objectives. Since it’s founding in 1990, the BBCC has been reversing those factors that brought about the decline of the Louisiana black bear. Without the support of the general public, and the private landowner in particular, the Louisiana black bear will not recover. By working together, the BBCC believes they can help restore a truly unique and magnificent component of our natural heritage.